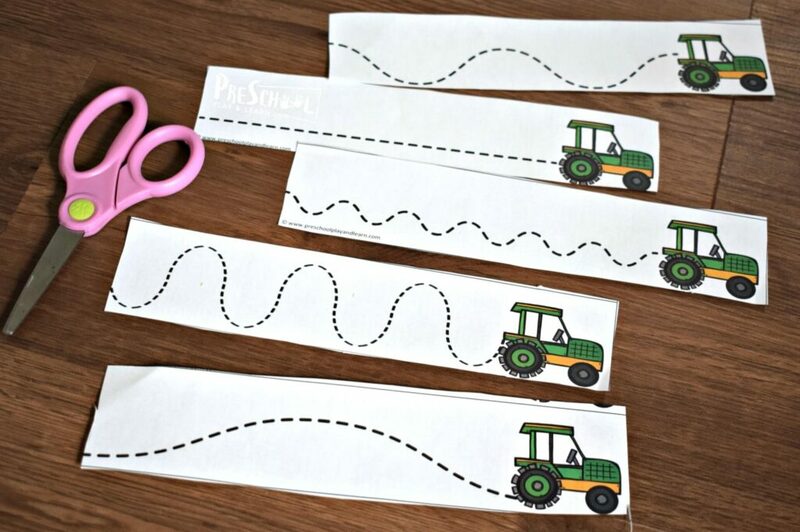 Kids will have fun practicing with kids scissors with these super cute, free printable Farm Scissor Practice strips perfect for toddler, preschool, and kindergarten age kids. You will love how easy these farm themed strips are to prep! 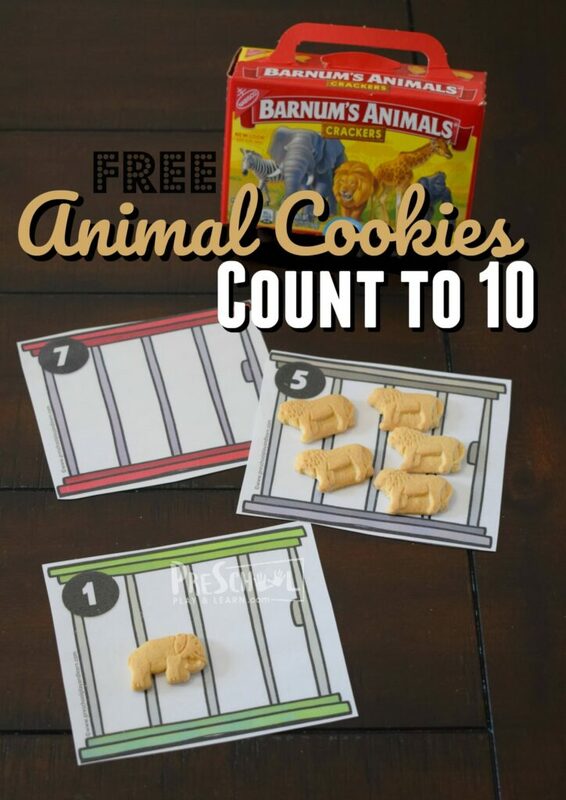 Plus they are great for improving motor skills with young learners. 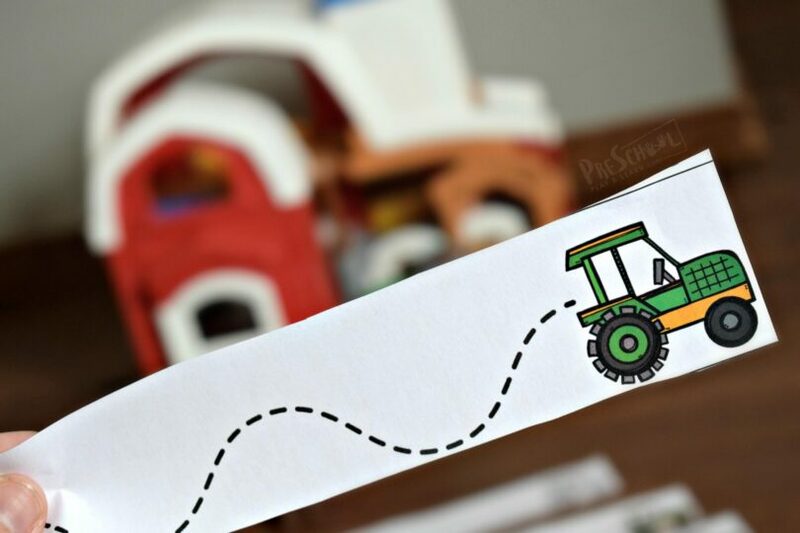 Simply print the pages in color, black & white, or green tractor style. Next, cut the page(s) into strips. Each page makes 5 different cutting strips. 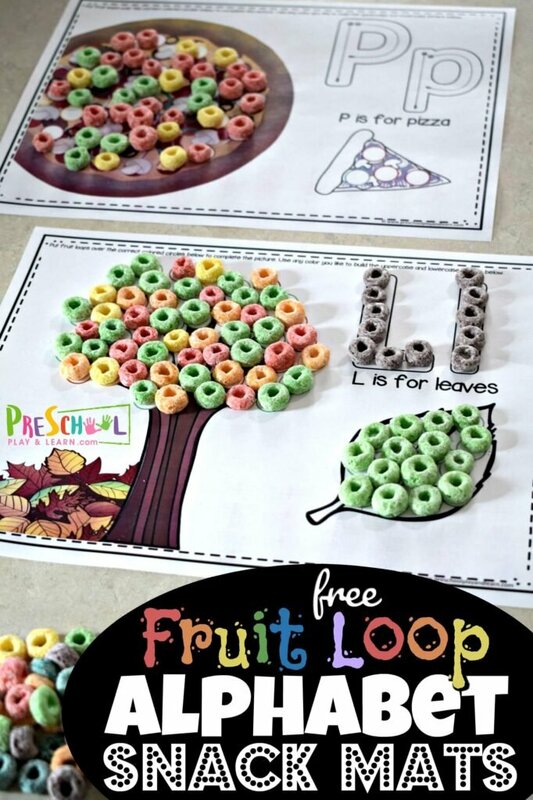 Set out with preschool scissors. 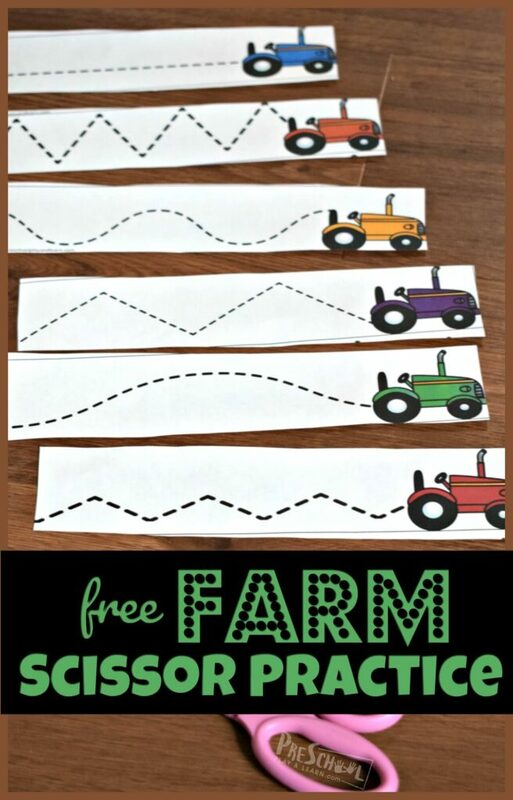 These farm themed strips are great cutting practice for toddler, preschool, prek, and kindergarten age kids. 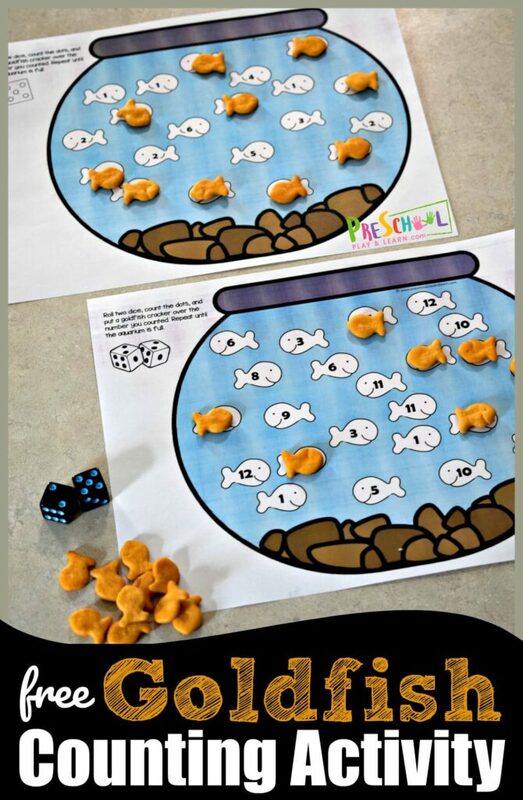 These are such a fun, low prep activity to help preschoolers practice with kids scissors. There are simple strips for beginners and various degrees of difficulty too. 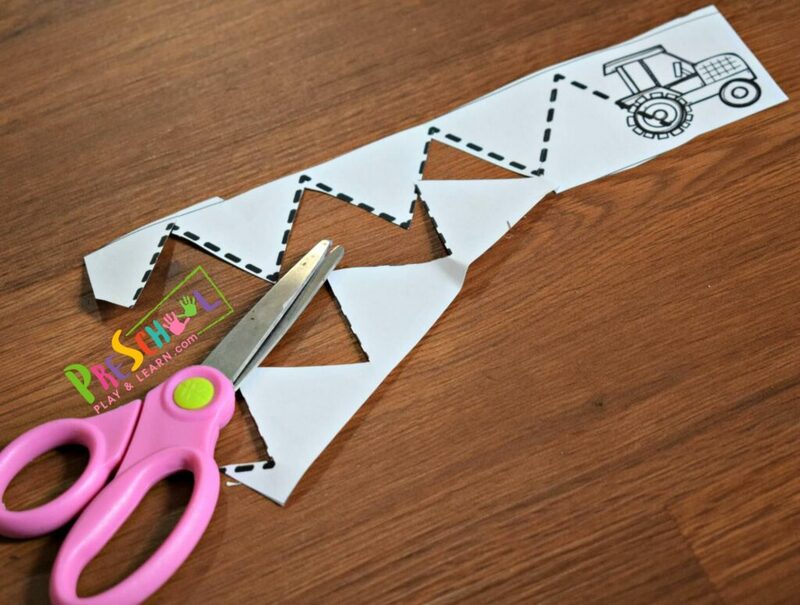 HINT: If using scissors is still too difficult for your preschooler, have children use these as tracing strips to strengthen fine motor skills to get ready for scissor use. 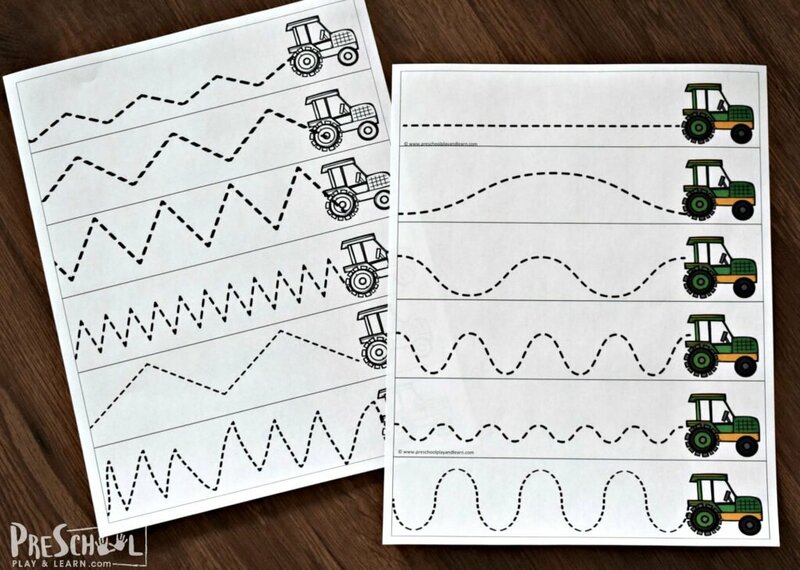 We just love simple activities that make it fun for preschoolers to improve skills and these super cute, free farm printables for toddler, preschool, prek, and kindergarten age kids fit that bill.